Courses for list building, funnel creation, marketing strategies, email techniques… we scarf them up to the tune of $7.5 billion per year (yes, with a B), according to TrainingMag.com. Whether for beginners, intermediate, or advanced, we are ​hungry for a steady stream of leads ​that convert into paying clients. As a 30-year copywriting veteran who's responsible for over half a billion dollars in sales, I can tell you this… if you don't take the right copywriting course to learn how to communicate with, convince, and convert your site visitors — chances are pretty hazy that you will reach your goals this year. Why? Because the success of all your other marketing efforts depends on your ability to write persuasively and with predictable results for yourself and/or your clients. It's too hard to figure out what my customers want to hear and then actually write the copy. I have no confidence in my online copywriting skills. Hype is scammy and I don't want to write like that. Do I have to? I've been looking for a copywriting course that teaches more than 1 kind of writing, but can't find one. 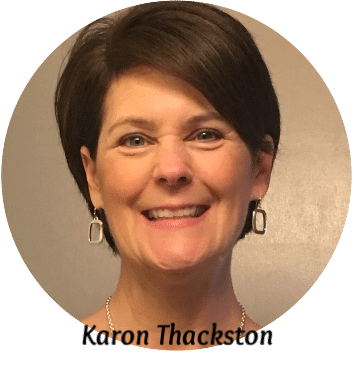 "Karon, thanks a million…literally! $1.84MM dollars in revenue from four — count 'em, four — little landing pages. The ones you wrote. Using only email marketing, AdWords, and your four landing pages I built a business that previously didn't exist for my client. Because of this success, other retailers are pining to sell a product that was previously unsellable. As you can image, my clients are very happy!" "Copywriting is one of those things that needs to be done for every type of web page — whether you do it or someone else does it for you. It will either be words off the top of your head or well-thought-out and strategic copy. It will either merely take up space on the page or will entice visitors to take your products or services seriously. The choice is yours. I made the choice back in 2010 to educate myself about this critical function. I met Karon Thackston that year and started my copywriting journey. What I have learned from her is as valuable as any skill I have in my business." Don't you just hate when other courses purposely bulk up their workshops just to seem like they offer more? But when you get into the lessons, there's just not a lot of actionable information. In 9 modules, I'll guide you through each step of the copywriting process in logical order, so you have a clear path to follow. We'll add to the talents and skills you already have and empower you with a method you can use with predictable results. THAT'S your copywriting advantage! Before you know it, you'll be picking out the features and benefits of every product you add to your buggy at the grocery store, critiquing those insurance ads on TV and wondering why in the name of ​Paypal you didn't take an online copywriting course sooner. "There's so much educational babble out there in the online universe. One must think critically regarding what teacher to spend educational dollars on and time with in order to learn. You are one of those to me." I'm a veteran copywriter who has worked at advertising agencies, newspapers, radio stations, and several in-house marketing departments. I've owned my own copywriting agency (MarketingWords.com) for over 20 years. I've created numerous copywriting courses, taught countless online classes, been a repeated guest on popular podcasts & webinars, and spoken at high-profile conferences including Internet Retailer, Search Engine Strategies, and Internet Summit. "Just wanted to say thank you for the excellent information. It was a joy to be on this event and actually focus on the topic without all the fluff and time wasters and distractions that others often include." 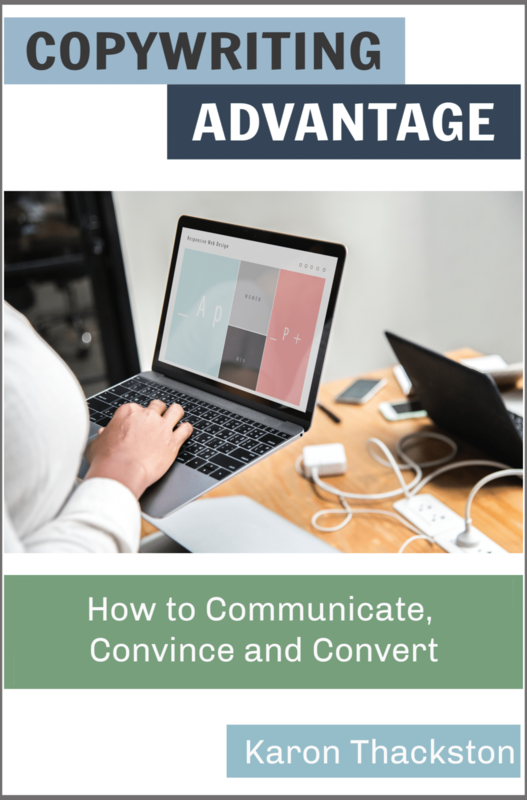 How to Communicate, Convince & Convert Course? The biggest mistake most copywriters make and the best way to overcome it. A handy list to help you get everything you need in place before you start, so your copy practically writes itself! Simple ways to decide whether (and how) to segment your copy. The 5-step buying process all customers follow and how it simplifies the website copywriting process. Discover why customers should buy from you and not your competition. Unlock what's different or better about your products/service. Learn how toothpaste helps define your unique competitive advantage so it's easy to understand. What gap mining is and how it helps your copy command more attention than women’s hats at a British royal wedding. 23 ways to position yourself as the obvious choice for your customers. The 4-part test that reveals whether your UCA is great or garbage. Lots of examples so you can actually see these techniques in action. The little-known copywriting secret for finding (and using) your customers' own words to build solid-steel connections. How to pick up on (and repeat) the subtle, but powerful, emotions your customer is feeling. 12 quick places to discover what your customer is saying/feeling. Examples that highlight what you've learned. How to generate an unlimited list of headline ideas for any type of copy. The real purpose of your headline (most people are clueless!). Why subheads are one of a copywriter's best friends. The sneaky little trick for giving your subheads significantly more punch. How to test your headlines to ensure they are at maximum performance. Examples, examples, and more examples! What features & benefits really are (many people have them backwards!). 7 steps for turning features into sales-generating benefits. The end results (aka hidden benefits) that draw people to your product or service. Why the questions "So what?" and "Who cares?" should be asked repeatedly when writing copy. Multiple examples to demonstrate the how-to's. 3 proven reasons why bullets work predictably to capture attention and reel in customers. 5 different styles of bullet points you can use to set up any product or service as a must-have. The DUH! tip for keeping your bullets from being repetitive and boring. The 3-point test each of your bullets must pass to ensure it's a winner. A variety of examples to show you exactly how it's done. How to overcome pricing objections, skepticism, fear, and other friction elements, so you can make more sales. The correct use of price comparison charts that adds clarity and confidence, so customers buy without hesitation. 3 slick ways to incorporate social proof to show that others trust, buy, and love what you're writing about. Several examples, so you can grasp the concepts fast! The best 3 types of calls to action and how to use each for maximum conversions. 7 call-to-action techniques that banish the boring "order now" and "subscribe" in favor of more click-worthy copy. A bucketful of examples to demonstrate numerous ways to craft just the right action call for your copy. My exclusive F.A.C.E. method for deciding the perfect length for your copy. 4 steps to turn ordinary sales copy into a powerful solution your customer has to have. 10 elements of copywriting to check off each time you write for any product or service. How working backwards actually brings you better results.•Expressing passion and persuasion without all the hype. 3 varsity-level ways to overcome objections easily. The truth about so-called conversion words and what it really takes to make them work. How and why clarity trumps cleverness. Every. Single. Time. Creative ways to use adjectives and adverbs to 10X increase your reader's response. Your own natural attributes that allow you to automatically tailor your sales message without even thinking about it. 7 simple ways to unlock vital information about your customers, so you can write copy that flips their buying triggers. 3 types of graphics you need to consider when compiling an accurate customer persona. 12 places to quickly find out more about your target customers. Choosing specific words that will instantly connect with your audience. Real-life examples of how target customer profiles make your copy resonate with your readers. Log in instantly and get started boosting your copywriting skills, and your income! At only 10 to 25 minutes per lesson, you can ​learn copywriting a little at a time... whenever you have time. I finished going through your course and really enjoyed it. Your stuff had more meat in the subject matter than all 8 of the books I read by another famous copywriter." Ready to whip out converstion-worthy copy for all your web pages, landing pages, sales pages, and other digital copy at will? I'll hook you up for just $299 (one-time payment). Is Copywriting Advantage right for me? Yes, if you want to learn copywriting and you're a copywriter looking to upgrade your skills, a website owner, speaker, course creator, online marketer, affiliate marketer, or other professional who wants to boost the power and profitability of your copywriting. What format is the Copywriting Advantage course? This is an online video-based copywriting course. Your purchase gives you immediate access to all the modules. Is this another one of those website copywriting classes that only teaches how to write overly hyped-up copy? I'm really not into that! It makes me feel sleazy. I'm not into it either. You will never see me use the word "skyrocket" … ever. There's a Grand-Canyon–sized gap between being descriptive and persuasive, and resorting to overblown hype. I leave the hype back in 1993 where it belongs. The hardest part of copywriting for me is figuring out what my customers want. Will you cover that? There's an entire session that goes into a great deal of detail and provides you with an easy-to-follow worksheet to target audience profile creation. With a little research — and possibly a thesaurus — you'll be all set. I've bought other online copywriting courses before, only to find that they were all just filled with fluff. There wasn’t hardly any actual copywriting lessons included. Do you actually TEACH copywriting? You bet! I pride myself on all the compliments I've gotten over the past 20 years about having a very focused — and zero fluff — teaching style. Each of these copywriting classes is full of beefy information and actionable steps. If that's the way you like to learn copywriting, this is the best course for you. Can you promise I'll be the world's best copywriter when I've finished this copywriting course? Nope! And neither can any other course creator. I'm a bottom-line kinda girl, so let me tell you why no one can guarantee your success. Because I don't know you, whether you're serious about wanting to learn copywriting, what skills or talents you already have, and so on, I can't predict your level of achievement. Only you can make it happen. Go ahead, take the next step… I'm cheering for you! Jump in and get started today! 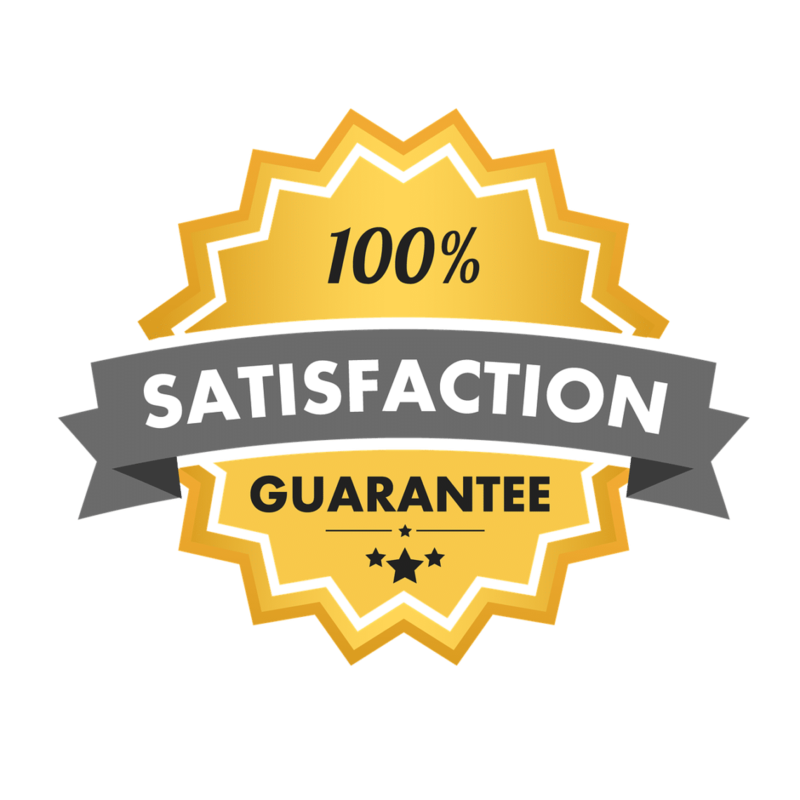 If after 14 days you don't think this is the best copywriting course for you, simply request a full refund. Doesn't it make sense to let me guide you through this copywriting course, so you can boost the performance of all your marketing efforts? Get it for a one-time price of only $299.